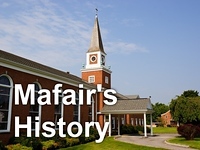 Wednesday Night Dinners return to Mafair on September 3rd at 5:30pm. Cost remains at $6/adult or $4/child (under 12) with a $15 family maximum. Come enjoy good food and even better fellowship!